Mysticism is the state of pure consciousness. The mystical state is achieved when all sensory information is suppressed and the mind emptied of all empirical content. The Hindu tradition covers many ages. The Upanisads gave to India the most direct interpretation thou art that. The Bhagavad-Gita concentrates on the various Complementary paths to the ultimate knowledge love and devotion. The profound teachings of Shankara were the next major development Buddhism seeks to overcome this belief and thus bring the Buddhist to the state of Nirvana. The expansion of the Muslims brought Sufism to India. Sufis teach like all mystics that reality is to be experienced here and now. 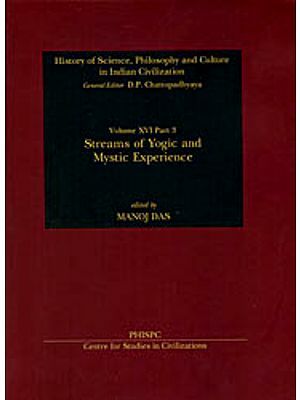 The present book is published under Sri Garib Dass Oriental series No.96. Noel A. Boreham is an indologist in Australia.